Ingrained in the identity of a true Buffalonian is their love of Buffalo sports. It’s built into our DNA and cultivated over the years by our family, friends and neighbors. For us, it’s about more than cheering for the home team. It’s part of who we are; how we identify ourselves. Being a Buffalo sports fan is experiential. We frame entire decades of our lives around it. Most of us know not just where we were, but who we were with for the memorable moments. We remember how it made us feel, and how it made the people around us feel. The big wins electrify the city for days and weeks at a time, and the crushing defeats bring us together and remind us of our resilience. The Icons exhibit currently on display at the Buffalo History Museum puts you face-to-face with a lifetime’s worth of Buffalo sports memories and the cast and characters that made them all possible. It’s more than memorabilia in glass cases. It’s a collection of sacred relics. It’s our origin story. This thing hits you before you even reach the top of the stairs. Somewhere, in the back you can hear Rick Jeanneret doing play by play. The echo of his voice through the room mixed with the ambient crowd noise from the exhibits made it feel like I was living some of the most famous Buffalo sports moments all over again. Part of me expected to turn the corner and see Rick, back to me, high above the arena looking down on the action, headphones on, yelling one of his famous catchphrases. 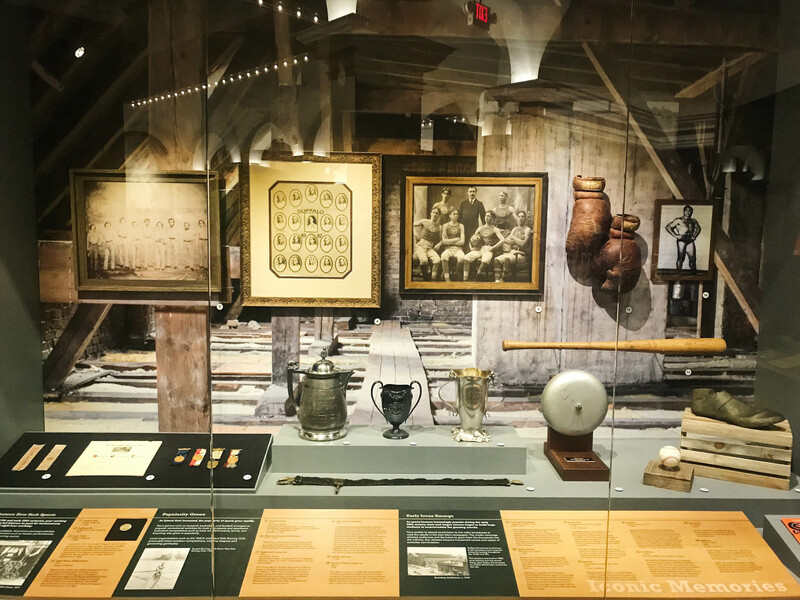 I felt like the women of the All-American Girls Professional Baseball League at the end of “A League of their Own.” I wasn’t looking at artifacts from an unfamiliar time or place. I was reliving moments that happened to me. Seeing John Tavares score his record-breaking goal or Chris Drury tie game 5 against the Rangers with 7 seconds left makes you feel like you’re back watching it live. The big moments surround you and the effect of the exhibit leaves you feeling like you’re right there. There is so much to love about the Icons exhibit. There’s an interactive booth that lets you call the play-by-play of big moments in Buffalo sports and a vertical leap test to measure what kind of hops you have. Of course it’s got the requisite jerseys and helmets, but it’s also got the actual swords the Sabres had made to commemorate the birth of the team, and the protective mask Pat LaFontaine wore after he broke his jaw. The best part about the exhibit for me was that it wasn’t just about the big names and big moments. It made room for the bit players too. 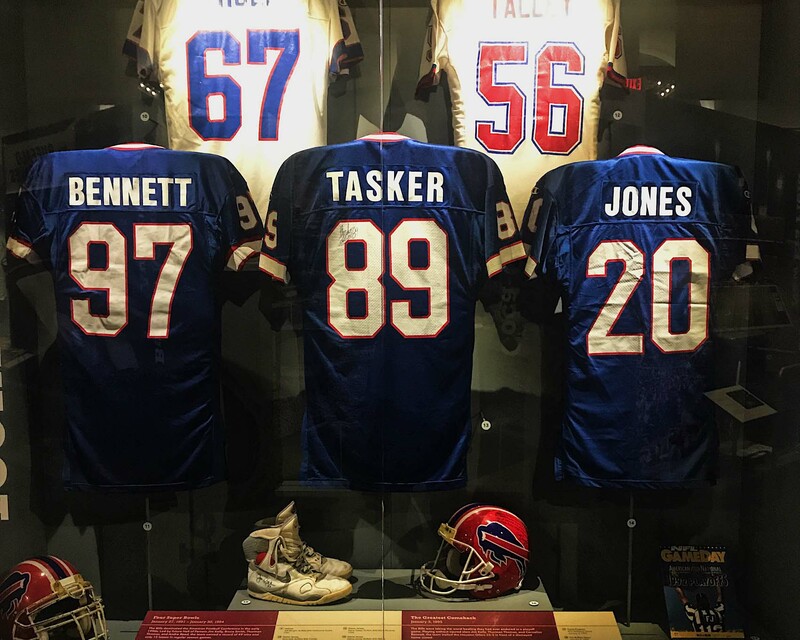 I never thought I would see the jersey of my all-time favorite Buffalo Bill Henry Jones, but there it was, front and center. And the highlights didn’t stop with Drury’s goal. You got to see Maxim Afinogenov snipe the OT game winner and superman dive across the ice. And while you watched all of this you got to notice things that maybe you didn’t catch before, like how Rick Jeanneret and Jim Lorentz, in some of the biggest moments, stayed quiet and let you soak it all up, or the ease with which Tavares notched that goal and the relief on his face as he raised his arms in celebration. It’s all so, so good. And for a sports fan, it’s a chance to take a look at all the moving parts of some of the biggest moments. It’s all of our favorite things about sports, regardless of what team you root for. Jay Josker is a lifelong Buffalo sports fan who may have gotten a little too emotional at this exhibit. 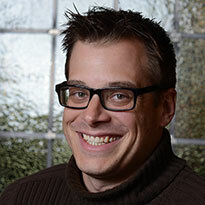 You can follow Jay on twitter and Instagram @TheBigElevator.